Whether you are tired of seeing your Retirement Savings diminished by the ups and downs of the stock market, are interested in Tax-Deferred Growth, or would like Retirement Income Planning Help, you’ve come to the right place. Why Should I Look Into NC Safe Money Alternatives? The stock market has been volatile. People are uncertain about what will happen with the money they’ve invested. There are, however, North Carolina safe money alternatives that allow your money to grow without the risk of investing in the stock market. Before we delve too deep in the strategies ALLCHOICE can help today’s Baby Boomer and Senior Market with, you first need to understand the underlying product…The Annuity! Annuities are insurance contracts designed to provide an individual with income for an established period of time. Whereas Life Insurance is needed in the event you do not live long enough…Annuities are needed to insure that you don’t live too long. A key aspect of an annuity, as opposed to other money vehicles (CD’s, Stock Market, Money Market, etc.) is the fact that Annuities grow Tax-Deferred. In addition to the Tax-Deferred Growth, Annuities also pass to your heirs without passing through Probate. There are basically three common Annuity types: Fixed Annuity, Variable Annuity, and Fixed-Indexed Annuity. Fixed Annuities are Insurance Contracts that specify a Fixed Interest Rate of Return (typically reset each year). There are Minimum Contract Guarantees that contract must earn each year. Variable Annuities are Insurance Contracts that are funded using securities, stocks, and unsecured bonds, which tend to fluctuate with economic conditions. The value of the annuity depends on the value of the underlying securities. Variable Annuity contracts can offer greater returns than a Fixed Annuity, however the Annuity Owner can also LOSE money. Fixed-Indexed Annuities are a hybrid between the Fixed and Variable Annuity. With a Fixed-Indexed Annuity, the Annuity Owner is guaranteed to never lose his/her principle. The returns of the Fixed-Indexed Annuity are tied to a Securities Index (the most common is the S&P 500). The Insurance Company sets the formula(s) for how your returns are calculated. The Fixed-Indexed Annuity can provide greater returns than the Fixed Annuity, or you could have 0% (never a negative return) depending on market conditions. Much has been made over recent years about Annuities. There have been many stories about Seniors being sold an Annuity that my unscrupulous agents. At ALLCHOICE we believe in the merits of Annuities, however, an Annuity is not for everyone. The biggest concern with annuities have tended to revolve around the “Surrender Charges”. So, lets take a look at Surrender Charges. Surrender Charges are charges the Insurance Company imposes on the annuity owner in the event that he/she surrenders the contract before the contract period is over. Why do Insurance Companies have surrender charges. In order for the Insurance Company to provide the contract owner with the many benefits an annuity contract offers, they must price their contracts (internal fees, expenses, and investment returns) using a certain amount of time. If the contract is ended before the contract terms ends, the insurance company may lose money. Insurance Companies understand that contract owners may need to access portions of their annuity proceeds from time to time, that is why most companies offer contract owners annual free withdrawals (typically 10% of the contract value). Before considering the purchase of an annuity contract, please reference the North Carolina Department of Insurance’s Consumer Guide to Annuities. At ALLCHOICE, we believe in the value of Fixed-Indexed Annuities. Now, as stated above, Annuities are not for everyone, furthermore Fixed-Indexed Annuities are not for everyone. Why does ALLCHOICE believe in the Fixed-Indexed Annuity? The simple answer goes back to what ALLCHOICE does best…Protecting Our Clients Assets! While there are very good reasons to use a Variable Annuity, the fact remains that there is still a possibility that you will lose money! We feel that the Fixed-Indexed Annuity provides our clients with a protection from loss of principle, while at the same time giving our clients the OPPORTUNITY to out perform the standard Fixed Annuity. As the Annuity Market has grown, so to have the Annuity Product Features. Today’s Annuity can be tailored to fit an individuals needs better than a mere 5 years ago. Let’s look at two key options for annuity buyers. For many Seniors, a main concern is the amount of money that they will pass on the their heirs. The Annuity has always provided a benefit to other money vehicles with regard to Annuity Funds by-passing probate. However, many Annuities offered today also have an optional “Death Benefit Rider”. While the rider may vary from company to company, essentially, the Annuity Owner would purchase the Death Benefit Rider as an option on their Fixed-Indexed Annuity. Since you can have 0% Return years on a Fixed-Indexed Annuity, the Insurance Company is guarantees that upon your death, your heirs will receive, at minimum, your initial principle plus 5% compounded annually (5% was chosen for example purposes only). Today’s Baby Boomer Generation (for the most part) is not too concerned with the transfer of wealth from generation to generation, instead they are concerned with making sure they will have adequate resources for their Retirement. Many Insurance Carriers are now offering “Income Riders” as a part of their Fixed-Indexed Annuity. Again the riders may vary from company to company, however the Income Rider provides assurances to the contract owner that his/her “Income Account” will grow regardless of the contract’s actual performance at a stated rate (generally anywhere from 5% – 8%). This allows the contract owner to know exactly how much Income their Annuity will produce once he/she decides to start the income stream. Disclosure: The Statements and definitions above are for example purposes only. For more information about specific carrier offerings and features, please contact an ALLCHOICE Advisor. ALLCHOICE believes that Annuities can be an important component to Retirement or Income Planning.  ALLCHOICE does not believe, or endorse, the use of Annuity Products for every person and/or situation. If you would like to know how a properly structured Annuity Product could fit in your current Financial Objectives, please contact an ALLCHOICE Adivsor Today!